One of our favourite family outings is to the bowling alley. This weekend, Dave’s sister and her family visited and we spent Saturday afternoon at Garrison Lanes, our favourite bowling alley on the Base in Kingston. The shoes—need I say more? Is there any greater sport on earth? I think not. This week’s Happy Act is to bowl me over with your best bowling story. Spare me no excuses and strike a chord with your fellow Happy Act followers. In case you missed it, check out this post on 8 things to make you feel like a kid again. For the longest time I never knew about those little arrows. 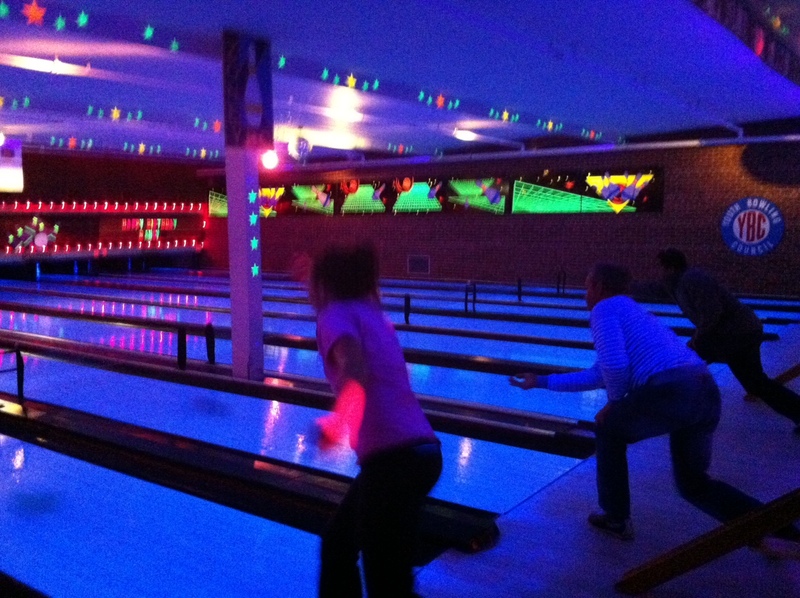 My first time bowling in Kingston, we got kicked out of Cloverleaf because my boyfriend at the time had never bowled before and kept throwing the ball too high or too soon. If it wasn’t smashing down on the lane, it was hitting the gate at the end while it dropped off the new pins. Also – there may or may not still be one of my fake Halloween nails flopping around inside a ball at Prost.